It's a dry heat, not a dry event! 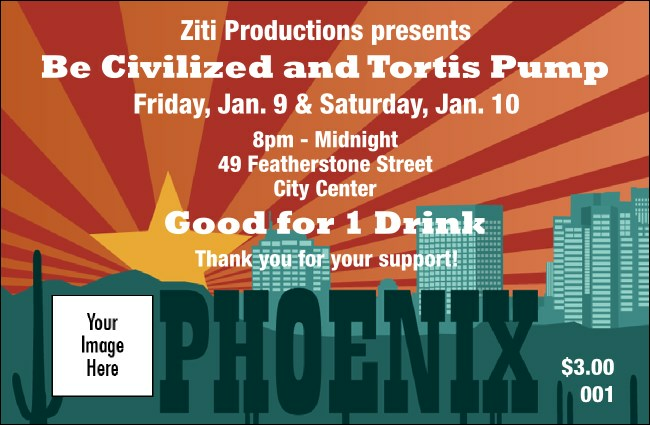 Keep it properly hydrated with Phoenix Drink Tickets. While the Valley bakes, your patrons stay cool when you sell drink tickets in advance or at the door. Drink tickets help you simplify. You can even easily reward your benefactors with free drinks. Let the sun shine down! Illuminate your event with the right Event Kit from TicketPrinting.com.